Despite all the complaints about the bad guys and men who are afraid of commitment, we girls keep looking for the only one – the one who will give us his heart and love us unconditionally. 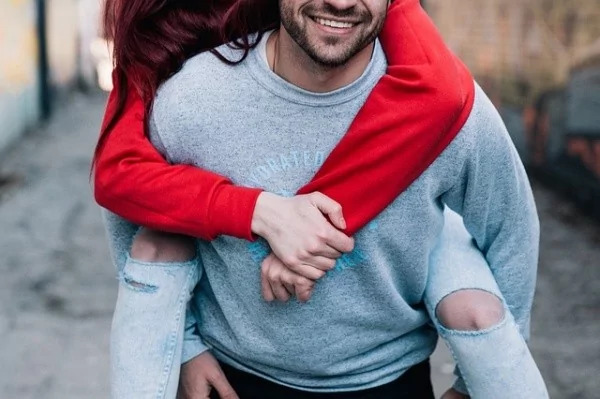 Whether you have been dating your guy for a short while or you have been living together for years, here are the true signs he is giving you his heart and ready to spend the rest of his life with you. Whenever and wherever you go, he always makes sure that you feel secure and safe. If you do not live together, he always walks you home and never drives away until he sees you walk in the house. He holds your hand during the hard times or situations to help you feel secure. He also tries to protect you from all the daily problems by solving half of them himself. Even if your man is tight on budget, he never stops surprising you with some meaningful and sometimes costly gifts. There is a huge difference in showering a girlfriend with a bunch of expensive stuff and giving little things that truly matter. Bringing you lunch, coffee, or a nice piece of jewelry are just a few examples to mention. It is not enough to say, “We will marry and have a house, cars, children, etc.” If your man sets long-term goals and you see him work on accomplishing them, it is an obvious sign he is giving you his heart. Maybe he opened a savings account for your wedding or honeymoon or found a second job to save money for your future house. The actions are more important than the words. Life is harsh and the problems seem to never leave us. However, when you are together, he enjoys your company. He smiles, jokes, and is absolutely positive. He forgets about his daily troubles and does not overwhelm you with his worries. It is okay to discuss some complicated situations together but he simply does not want you to worry about his businesses. Be it a word or an action, he makes sure you feel good all the time. He offers his jacket when you feel cold and holds a door open for you. He makes sure the temperature in the car or house is right for you and you feel comfortable in the company of his friends. When you do not feel good, he will find a way to help you. Regardless of how busy you two are, you carve out a minute to call each other, send a text, or chat on social media. There is no “ur” in your conversation and it seems you will never run out of the topics to talk about. If he finds a reason to call you or chat with you, he just can’t spend a minute without you and is always happy to hear your voice. Is he able to remember your exact words you said the last week? Or does he remember about your favorite movie in the high school? If he remembers everything about you, it is a definite sign he is genuinely interested in you and is ready to give you his heart. If you are happy to see all the seven signs in your partner, congratulations! If you love him wholeheartedly, you two will more likely to have a happy future together. Just never stop working on your relationship. So, ladies, is your guy ready to give you his heart?